"@nytfood suggested you add these double-chocolate #pancakes to your weekend morning routine. But if you ask us, Tuesday seems as good a day as any. 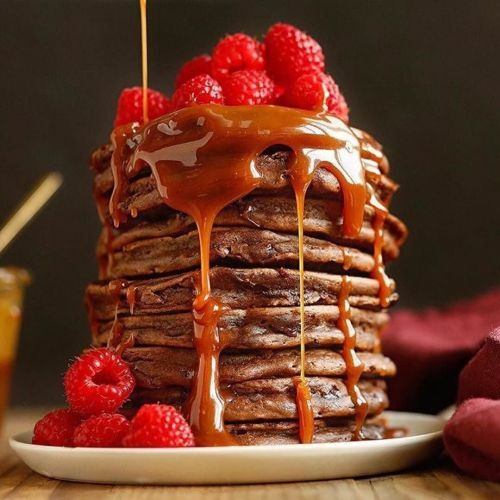 @craigleephoto photographed this spectacular #stackofpancakes. Follow @nytfood for more photos and to find this #NYTCooking recipe, which was adapted from @bobbyflay's new cookbook. #🍴" By nytimes on Instagram.